The Internet has already changed the way we car shop. Consumers spend less time at dealerships and more time online prior to making a purchase, (1.4 showroom visits to be exact.) But what about 5 years from now? Imagine an experience achieved by virtual reality. Think about what happened in other retail industries— most notably publishing, electronics, and entertainment. Along came Amazon and Netflix, and the traditional retailers either adapted or were doomed to fail (as, unfortunately, many of them did.) 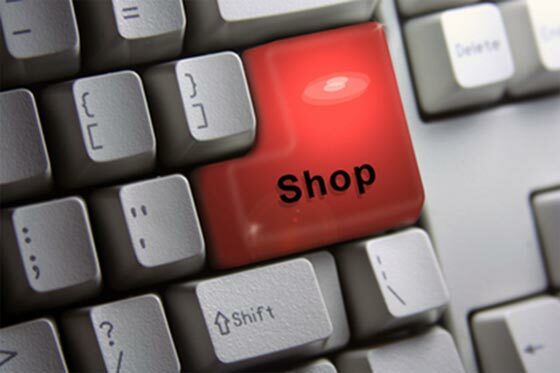 In fact, leading retailers in these industries today collect more than 50% of their revenue online. So what does that mean for automotive retailers? A recent study suggested that 5% of all cars will be sold online by 2020. Car companies are already starting to do this, and the challenge is in creating a seamless online and offline experience. Furthermore, the trend is moving toward digital retail stores in the heart of the city– combining the living and working environment with the automotive experience. (Sound familiar, Tesla?) 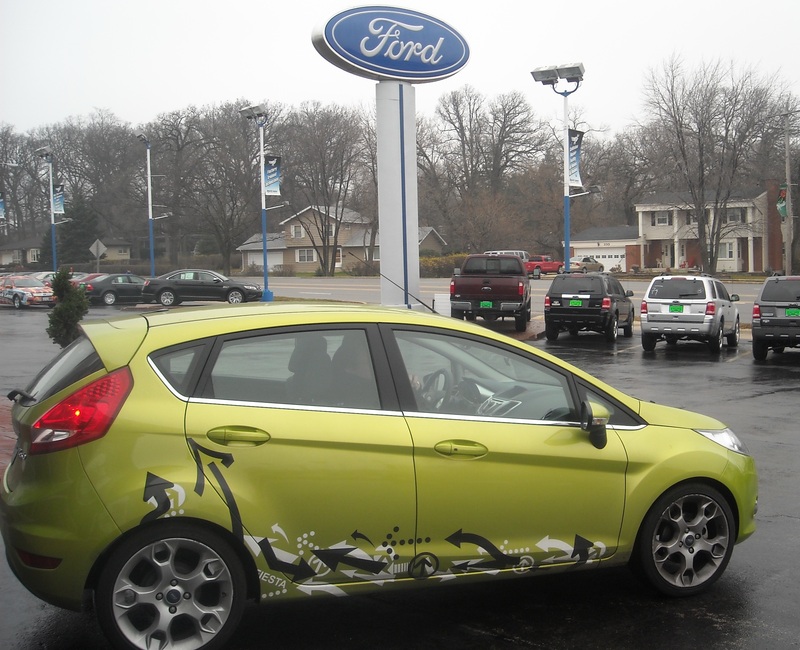 The focus becomes centered on creating a memorable and positive experience for the car shopper. 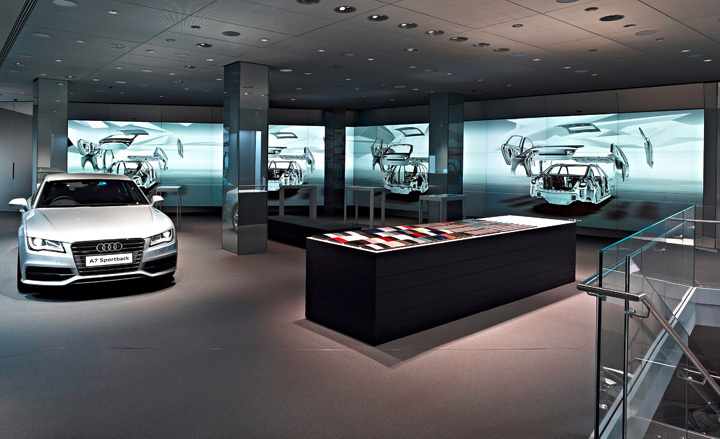 Audi, in particular is ahead of the curve, having opened digital showrooms in London and Beijing. The customer can digitally create and configure a vehicle as they watch it come to life. For London Audi City, this approach has increased new car sales by 60-70%, and delving further, 75% of the orders were placed by first time Audi buyers. It’s estimated that car makers will open about 100 of these flagship city-center stores globally by the end of the decade. The idea being a one-stop shop, aimed at providing a unique brand experience. 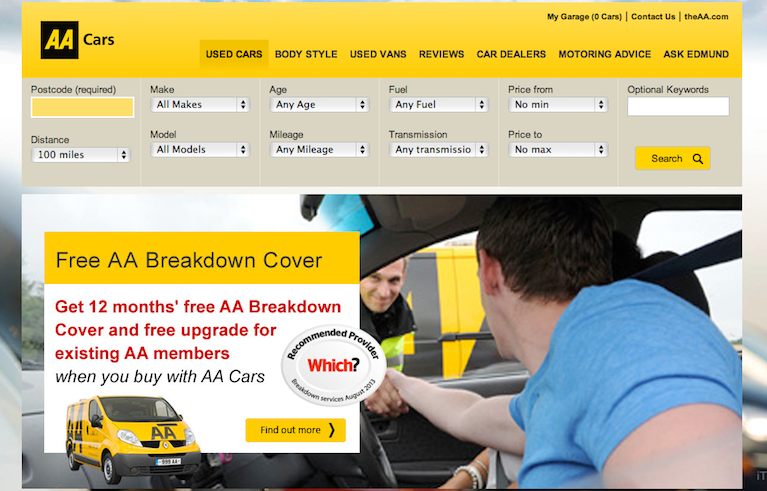 For those of you Americans that are relocating, or Brits that happen to be reading my blog, I came across a very useful website recently, AA Cars. Think classifieds + useful info. Not only can you search for a car, but you’ll also find pertinent car-shopping-related advice/ information. 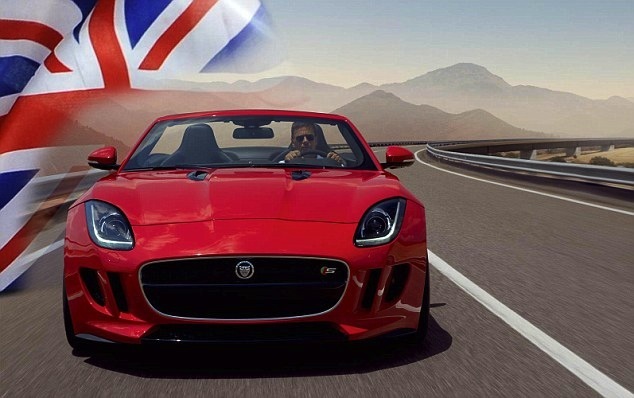 They have everything from car reviews, to finance information, to a general automotive advice section, (or “Motoring” Advice, as the Brits like to call it.) You can even “Ask Edmund” your specific car-related questions. Attention ladies– they even have a “women’s car insurance” section. The next big question is do you opt for a new or used car? This could be a lengthy discussion, but let’s take a look at some of the fundamentals of both. Let’s start with the obvious: it’s brand-spanking-new! The allure of a new car, in and of itself, is exciting, much less the fact that you can equip the vehicle exactly how you’d like, and of course, nobody else has used or abused it first. It comes with a full factory warranty, and chances are you won’t have to worry about any repairs or maintenance for quite some time. And let’s not forget the unforgettable and intoxicating, new-car smell. The overall car market has changed significantly in the last several years. Quality, durability, and reliability have improved dramatically, so a used car is definitely worth considering, and may, in fact, be a better option for you. First off it’s cheaper– we all know cars depreciate once they’re driven off the lot. That being said, it’s not just a lower price, but often the best value, i.e. more bang for your buck. You can drive away immediately with your car (as opposed to waiting if you custom-ordered a new one). And if the car is only 1-2 years old, chances are you have the remainder of the manufacturer warranty to ease your mind. And whichever route you choose, don’t forget to test drive the car first! Car Shopping…. who holds the purse strings? Did you know women buy more cars than men??? So what do they buy and how do the sexes differ in their buying process? Well, for starters, the purchase motivators are distinctly different. Looking at what tops the list, for women it’s safety, and for men it’s performance. Their needs, desires, and priorities differ, as well as their reason(s) for purchase. Therefore, the buying process is different. Ahem, [car] salesmen…correction, sales “people”, please take note. Delving further into the difference when it comes to car shopping, one will see that women tend to be more economical and pragmatic. Again– we already stated that safety is their number one purchase motivator. Now let’s take a look at the process in terms of being at a car dealership. Women, hands down, ask more questions. They want to know everything. (I think perhaps I fit that stereotype…maybe.) And they want to feel happy, satisfied and content with their purchase. Men, on the other hand, revel at the game. They take pride in getting a good deal, and they definitely don’t ask as many questions. Men tend to rely on what they [assume] they know. Could that be an ego thing??? Just sayin’…. Women complain that they’re intimidated by the whole car buying process– specifically when it comes to walking into a dealership. They dread it. Sometimes they’re ignored. Having conducted my own recent survey, I garnered the same findings. Not one female did I speak with state that she had a “fabulous” time buying her car. In fact, in one instance, a lady told me she was initially excited, got home, and then started having buyers’ remorse, contemplating whether or not she got a good deal on her new vehicle. Interestingly enough, 9 out of 10 car salespeople are men. Perhaps that has something to do with it? The evolution of the internet is definitely making things easier for car shoppers— both men and women, and shifting the process. Before the internet, women used to visit 5 to 7 dealerships before deciding on one. Nowadays, most visit just one store. That being said, there’s still room for improvement as evident by the discontent of people’s experiences. Lastly, I’ll leave you with two powerful and interesting findings. First off, more women have a driver’s license than men– 1.4 MILLION to be exact! So basically more women can [legally] drive than men. And secondly, women spend $300 BILLION on cars annually!!! Now THAT is quite a compelling number, wouldn’t you say? Maybe car dealerships should be figuring out how to cater to them a bit more…..
Sound familiar? With the gaining popularity of smartphones, what will happen to factory-installed navigation systems? Or portable GPS devices? Better yet, with so many options, what should you opt for when purchasing your next vehicle? Read on to learn about some of the advantages and disadvantages regarding the various systems, and hopefully it will help you make an informed decision. Factory-installed navigation, nowadays, can be operated with the voice-activated features that accompany the system. In most cases, you can modify your route while “en-route”, it’s unobtrusive and seamlessly integrated into the vehicle, and therefore fairly resistant to theft. Furthermore, it’s covered under your vehicle’s warranty, should anything go awry. If you’re looking at the big picture, having a factory-installed system improves the vehicle re-sale value of the vehicle. On the flip side, systems can be expensive and are often bundled in packages with other features that you may or may not want, or are only available at higher trim-levels. And when it comes to updating the map systems, typically via a CD/USB purchased through your dealer, it can be quite costly. 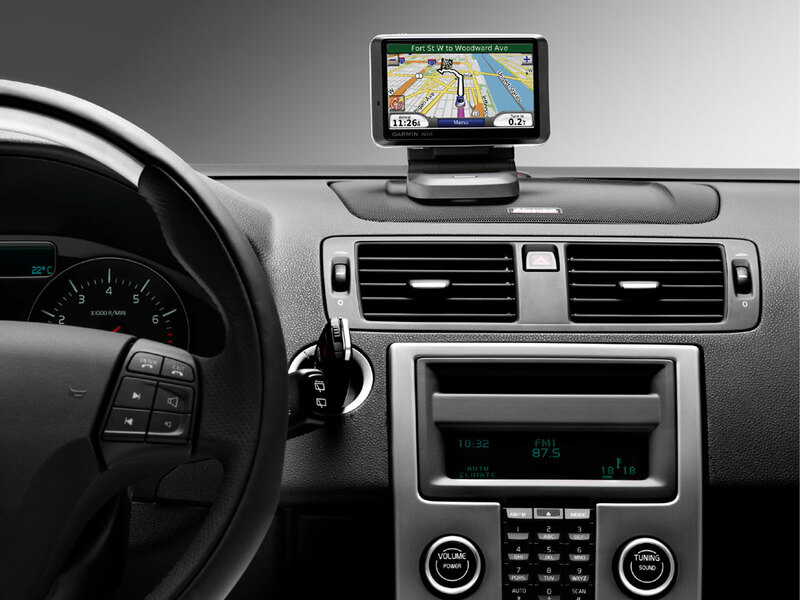 Portable GPS systems like Garmin, Magellan, TomTom, and so forth, are just that- portable. So you can use them in a multitude of vehicles…that is if you have several vehicles, or bring the device with you when traveling, and use it in a rental car. As far as updating the maps, many manufacturers are offering low-cost options, and some even come with lifetime updates. (I also like that there are several voice options…particularly the one with the English accent.) The screens are typically smaller than factory-installed navigation systems, but definitely larger than a smartphone. If you’re not careful to hide the device when leaving your vehicle, it can become prime target for theft if seen on the dashboard, or basically visible anywhere else in the vehicle. For the minimalists out there, well you may be frustrated looking at the dangling cords, or the extra piece of hardware sitting on your dashboard or suction-cupped to your windshield. 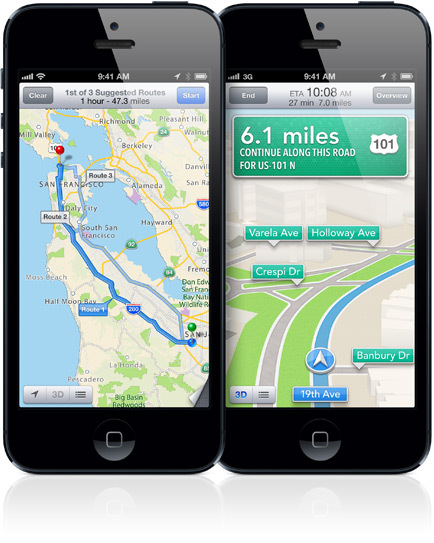 Smartphones feature the latest and greatest map systems. (Well, some beg to differ when it comes to the iPhone’s latest map system.) However, given the real-time aspect, they do feature the most updated info. You can update your phone within minutes, free of charge, so in regard to map-updating convenience and cost, this is your best bet. And obviously, [most] people carry their phones with them, so portability is on track. On the other hand, the screens are smaller and can be a distraction while driving. Unless you pay the extra cost to set-up a mounting system in your vehicle, you have to pick-up the phone to see the nav, (an obvious and unsafe distraction while driving), or hope that the volume is loud enough to hear when you set it down somewhere. I had my phone on my lap on one occasion and it fell, and given I was driving and couldn’t reach it [safely], it caused a bit of a fiasco. Some don’t come with voice-guided directions, in which case setting it down is not even an option. Plus, it’s inevitable that at some point, you’ll receive a phone call, which can make it challenging to follow the nav simultaneously. Portable GPS and factory-installed nav systems are volume controlled and definitely loud enough to compete with your stereo system, or wind/outside noise if you have the windows down. Even if they’re tied in with the phone (i.e. Bluetooth paired), they’re typically pretty seamless– meaning if you receive a phone call, the map will still appear on the screen, and even though the volume may lower in some instances, you’ll somehow be notified of your next turn. Lastly, there are the signal and battery factors. If you lose your cell signal, you also lose your navigation, and using the nav also drains the phone battery more quickly. (Though now they’re making longer-lasting and add-on accessories to increase the life of the battery.) And of course, you can always opt for a car charger for your phone. In a JD Power & Associates U.S. Navigation Usage & Satisfaction study, it was found that users are less satisfied with their factory-installed systems, based on 6 factors: ease of use, routing, navigation display screen, speed of system, voice directions, and voice activation. According to the study, the top performers are the Chrysler 300 series, Dodge Charger and Porsche Cayenne. Although I have to say, having used many systems myself, I think it’s a matter of personal preference. They also found that in 2012, 47% of the people surveyed downloaded some sort of navigation app on their smartphones. Furthermore, a whopping 46% said that given their phone’s nav could be displayed on their vehicle’s screen, they “definitely would not” or “probably would not” purchase a factory-installed navigation system in the future. My advice? 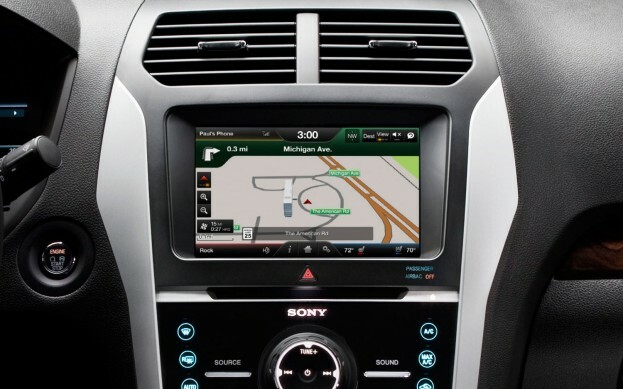 When you test drive a vehicle, test out the navigation system as well, and make sure the sales consultant walks you through how to use it. And ultimately, check out all of your options, and determine what’s most important to you before you decide. There’s no denying the trend in mobile marketing is growing rapidly. Virtually everyone has a cell phone– in fact, according to the Mobile Marketing Association, more people in the world own a mobile device than a toothbrush! 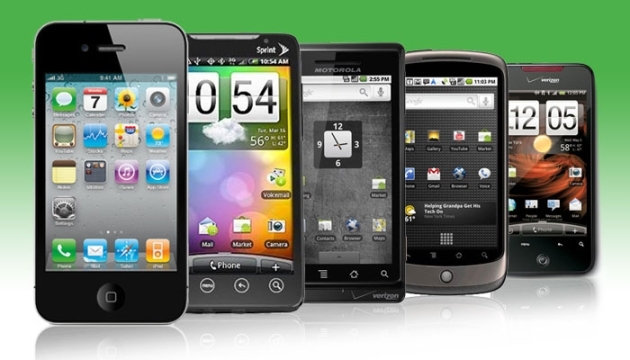 Furthermore, smartphones are quickly becoming the mobile device of choice. Pre- orders for the iPhone 5 topped 2 million in 24 hours, and Apple sold over 5 million iPhones within 3 days of the phone’s launch. Clearly this isn’t just a technological fad, but an integral part of daily life. Meaning– it’s not just about using a cell phone as a means of traditional communication anymore- i.e. making a phone call (or texting– the now more common method of communication.) It’s a lifestyle– being “tech-savvy” is no longer exclusive to a select demographic. The general public uses a smartphone to access the internet for daily news, sports’ scores and updates, social media, shopping, and the list goes on. By 2013, it’s estimated that smartphones will be the primary way people access the Internet. So what does this mean for automotive? Well according to a Greystrip Media Study and eMarketer, 8 out of 10 auto shoppers use their smartphone in the car buying process. Therefore, this presents a huge opportunity for business/e-commerce via mobile– that is, for those keen enough to ride the [mobile] wave. The bottom line is that mobile apps represent a critical avenue for conducting business in today’s society. So what are some of the automotive industry leaders doing? As part of a nationwide program, Ford is equipping dealerships (essentially the sales staff) with iPad devices and an app that brings the showroom to their fingertips. (Yes, Apple continues its quest to rule the world, even in the automotive industry.) Called the Ford Showcase app, it’s customized to each dealership, and uses real-time information to indicate which vehicles are in stock at that particular store. The idea is to help the customer find exactly what they’re looking for — trim level, price, etc…, in a quicker, more efficient manner, by providing a method to do so at the fingertips (literally) of the sales consultant, no matter where they are in the lot or store. Much like a virtual brochure, inventory, videos of available technology, and general product information are all included in the app, and can also be sent directly to the consumer. So what’s next? There’s an app for everything, and there’s no exception when it comes to the automotive manufacturers. However, it’s all about raising the bar. How do you further engage a customer beyond the “traditional” application? It’s all about the transition from the digital world of experiencing the brand and/or product(s), and connecting it to real life. 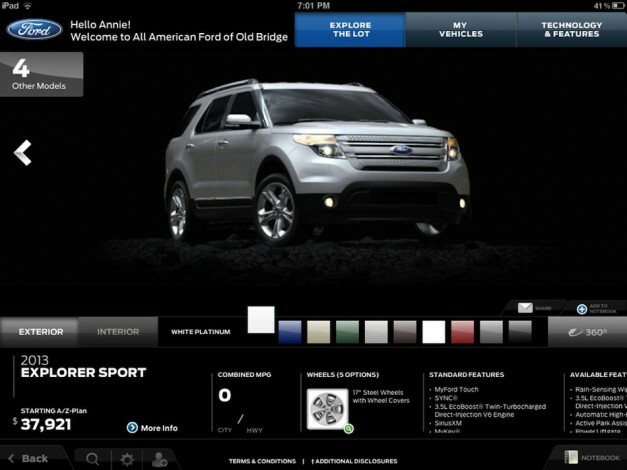 In the case of the Ford app, it will hopefully result in a quicker sale at the dealership. However, [some] manufacturers are doing this via augmented reality experiences. Let me first explain, augmented reality is, (per wikipedia) “a live, direct or indirect, view of a physical, real-world environment whose elements are augmented by computer-generated sensory input, such as sound, video, graphics, or GPS data.” Virtual reality, on the other hand, is when the real world is replaced by a computer-simulated world. To further clarify, augmented reality is, essentially, a melding of both virtual reality and real life. That being said, this happens to be the latest trend in automotive mobile applications– what a better way to market to potential consumers, enthusiasts, and brand loyalists than to actually engage them with your product(s), or brand in general? To mention a few “Leader(s) of the Pack”…. The first in the auto industry to provide an augmented reality experience was Audi, launching an app for the 24 hours of Le Mans. Integrating the brand with the race, the app allowed consumers to test drive models that have won previous races, including the R8 (one of my personal favorites), R10 TDI, R15 TDI, and R18 TDI. Designed for the iPhone, iPad & Android devices, the app also provided info about the various teams, as well as technical info on the cars. And the ultimate goal– engaging the consumer (in this case, specifically racing car and sports car fans) on a new level. The “ATS vs The World” program was a nationwide tour, that included 4 cities- New York, Miami, Chicago and San Francisco. 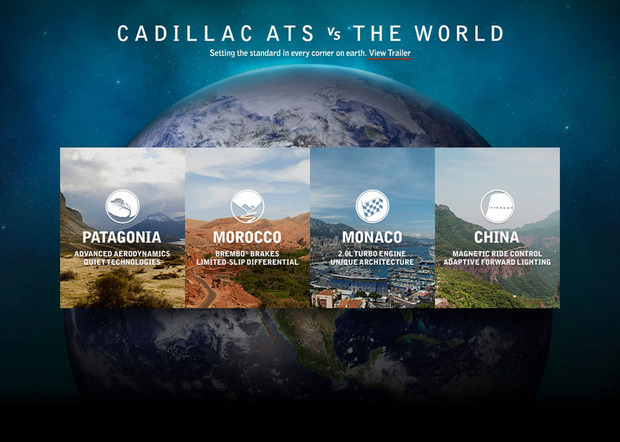 Cadillac provided a series of augmented reality experiences in that users could download an app to a smartphone or tablet, then aim their device at a specific mural created for each of the respective cities and “experience” driving the ATS through a course by moving their device. The murals each represented an international city/venue on some of the world’s most challenging roads where the ATS was tested, including the Monaco Grand Prix speedway, China’s G Tunnel, Morocco and Patagonia. At the end of the day, it’s all about engaging the consumer on a new level. Not just traditional marketing/advertising, conventional applications, or test driving the car, but experiencing the vehicle in a real-world meets virtual world sort of setting. Does this help sell more cars? Only time will tell, but I know one thing, according to VP of Marketing at Cadillac, Don Butler, the ATS augmented reality experience has been activated over 30,000 times. That’s quite a bit of brand awareness, wouldn’t you say? 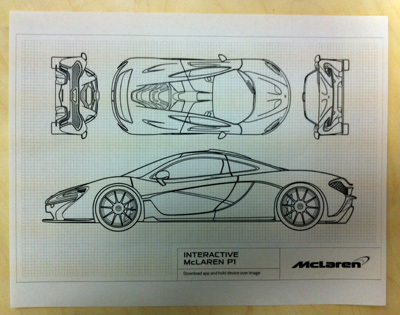 And I can attest from personal experience, I now know more about the McLaren…. Tis’ the season….well almost. Ladies, as many of you are aware, the high-end department store, Neiman Marcus, puts together an annual fantasy Christmas catalogue. Not for the stingy, the items are carefully selected to create a unique wish list of “His & Hers” gifts, and each year, this list includes a limited edition automobile, specially designed for the luxury retailer. 2010 marks the 50th Anniversary of the “His & Hers” list for the annual NM Christmas Book, and boasts items no less extravagant than previous years. The tradition began in 1960 by Stanley Marcus, son of one of the original Neiman Marcus founders, who challenged his team to create a unique and newsworthy catalogue for their customers. This year’s vehicle joins the ranks of BMW and Jaguar from past catalogues but hits closer to home. 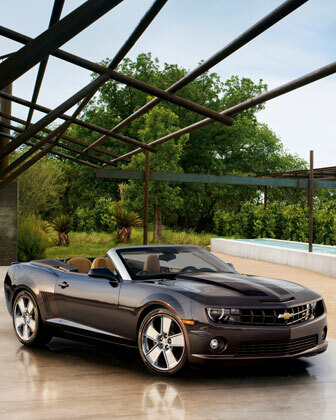 The 2010 list presents the iconic, all-American muscle car– General Motor’s Chevrolet Camaro. Although regular production will begin in 2011, the uber-trendy and able, had the opportunity to purchase the limited edition rag-top Camaro, well in advance. Designed exclusively for Neiman Marcus, production is limited to a quantity of 100 vehicles. The 2SS model boasts a 6.2L V8 engine, with the option of a 426hp, 6-speed manual transmission, or a 420hp, 6-speed automatic transmission. LED Halo-Ring headlamps and an exclusive tri-coat exterior paint in “Deep Bordeaux” with ghosted stripes provide ultimate distinction. The bordeaux convertible top is highlighted with a silver painted windshield, and the interior is no less luxurious, featuring amber leather with brilliant red accents on the center console, steering wheel and shift knob. And let’s not forget the XM Satellite radio that projects through the Boston Acoustics premium sound system. And the price tag? A mere $75,000. Reservations began promptly at noon on October 19, 2010 and ended shortly thereafter– 3 minutes to be exact. Only (1) vehicle was permitted per [qualified] customer. Sorry ladies, this was one gift you had to jump on if you were interested. How Has the Internet Changed Car Shopping? One of the obvious consequences of the evolution of the Internet is more knowledgeable customers. Did you know that nearly 90% of car shoppers use a search engine when shopping for a new vehicle? This, in turn, results in less room for negotiation when it comes to a deal, and the need for sales consultants to be at the top of their game. 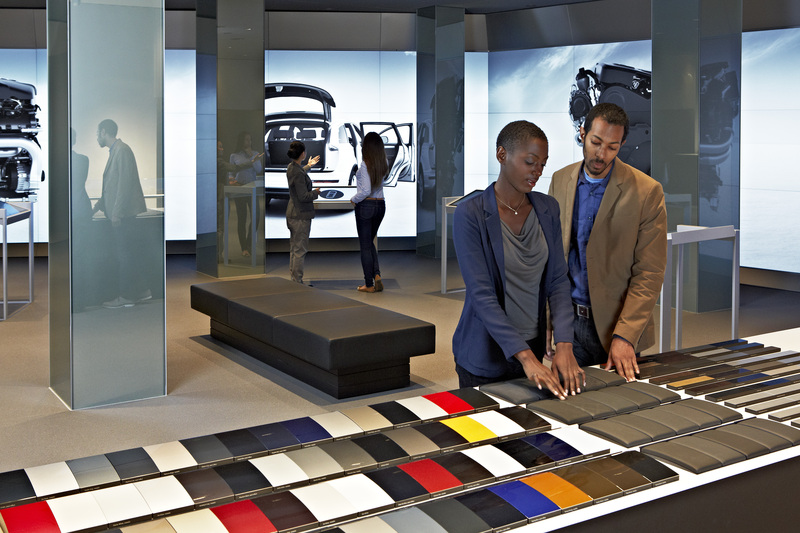 More and more consumers know what they want before they walk into the showroom- they’re educated on product and pricing and therefore the whole experience is more transparent. I was speaking with an acquaintance of mine the other day, and he mentioned that his biggest pet peeve when car shopping is walking into a dealership and knowing more information than the sales consultant. On the manufacturer/seller end, the Internet has helped to raise awareness of products and services through online advertising, shifted from the once popular auto magazines and newspapers. Moving even further, by using Web 2.0 tools, those that are on the cutting edge have grasped the concept and utilized these mechanisms to garner excitement, and build up the anticipation of new-to-the-market products well before they’re even available for purchase…or even live viewing. Case in point- Ford Motor Company’s FiestaMovement.com. Ford cleverly put together a grassroots social media campaign to create buzz around the introduction of their newest vehicle before it was brought to market—the Fiesta. And the result? (Drum roll, please)…. Over 9,000 reservations placed for vehicles that weren’t even in the dealerships yet! The numbers speak loudly. Need I say more? For you consumers out there, the Internet is a powerful tool, available to everyone- so use it. You’ll find that you’re not restricted to simply finding product and pricing information, but also buying tips and even the appropriate lingo to use. Leverage your information wisely and you’ll get the best deal out there. All you need to know before you walk into a dealership is available online. Now, there’s nothing like kicking the tires and enthusiastically shaking your sales consultant’s hand, but that process will be that much more enjoyable if you do your research first. When shopping for a vehicle (or any high-ticket item for that matter) it’s important to consider first your budget, then your needs, and finally, what you want. Spending all of your savings on a hot-rod is great and all if you intend on living in your car, but most of us, like to spend our time elsewhere in addition to driving. Product and price information are important, but there a couple of additional things to consider as well. Know the market value of your trade-in (if applicable.) How can you negotiate if you don’t know that information when you walk in the door? You’re an easy target- it’s like leading the blind down someone else’s intended path. Times are tough (though slowly getting better), as we’ve seen many dealerships shut their doors over the last couple years. So who will survive? From the seller’s end, those who take this reality seriously and grasp the forward-thinking mentality will use the Internet to their advantage to differentiate themselves from their competitors. As a consumer, you want to get the most for your money, the sales person wants to make the most money out of the deal (like any other business); know your stuff and you can [hopefully] come to an agreement, somewhere in the middle. At very least, you’ll be better equipped to do so. The world’s cheapest car, measuring at a mere 10.2 feet in length, goes on sale next month in India. (And I thought the Smart car was small… geez.) Manufactured by Tata Motors, the Nano will retail for just over $2,000.00, making new car shopping affordable to a whole new demographic in India. Safety fanatics beware– the Nano is not equipped with air bags nor anti-lock breaks. However, for an added cost, you can get AC, a radio and power steering. Boasting a whopping 55.5 miles to the gallon, (and don’t be fooled by its size), it can reach speeds of up to 65mph. Given the current economic state, this vehicle couldn’t debut at a better time. Ratan Tata, chairman of the Tata group, reported that although the U.S. market wasn’t originally part of their plan about a year ago, it’s now looking promising. That being said, Tata is designing a version that would meet U.S. safety and emission standards, that won’t be ready for about another three years, while a Nano Europa is scheduled to launch in 2011. Like many others, Tata Motors was hit hard by the financial crisis and hopes to turn things around with the Nano’s launch April 1st. However, although they’re expecting the demand of the Nano to exceed their supply, analysts say that this will only increase their total revenues by a few percent. Hmm… I, on the other hand, think I’ll still stick to a Ferrari…. Looking to sell your car? Whether you aren’t satisfied with the trade-in value at the dealership, or you need the cash before you can shop for a new ride, it can be a long and frustrating process. To alleviate some of the stress, I thought I’d give you some tips on how and where to get started! Check out Edmund's True Market Value pricing. The next step is to decide on a selling price for your vehicle. Survey online and newspaper classified ads for the same or similar vehicles, making sure to note the mileage, trim level and condition of the vehicle. You can also check other internet sites like, Autotrader.com and Cars.com to see what your car is selling for in your area, and how many are in the market. The more like-vehicles listed, the more competitive you’ll have to be with your pricing. I’d also recommend checking out Edmund’s True Market Value pricing system. The system adjusts depending on key factors such as color, mileage, and specs to give you fair value for the vehicle. And keep in mind that if you’re contemplating a fair number, you can always lower the price at a later date, so be sure that you’re comfortable with what you choose. Remember the importance of "first impressions!" Remember the importance of “first impressions.” If someone doesn’t like what they see right off the bat, well you can almost guarantee that they’re not going to take a second glance. That being said, take the time to wash the outside, clean out the inside, and if needed, detail your vehicle. If it needs a few low-cost repairs or maintenance like fixing a dent or two, getting an oil change, or buffing out a scratch, then consider doing it yourself. Spending a few extra dollars may save you the headache, and shorten the sales process. Another good idea would be to get a CarFax or Experian’s AutoCheck vehicle history report, to show potential buyers that odometer reading is correct and justify the condition of the vehicle. So now where do you advertise? 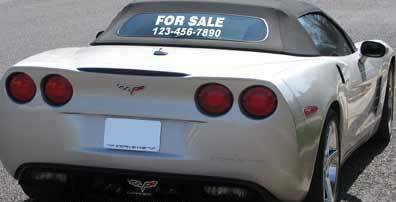 Nowadays there are so many options out there- from the traditional newspaper classifieds, to online listings, to just sticking a “for sale” sign in your car window. If you don’t mind cruising around with a sign in the window, then start there. It’s cost-effective, takes virtually no time to do, and you could potentially sell the car locally, especially if you maintain a shorter radius on your daily commute. Over 80% of the population uses the internet at some point during the car buying process, whether it’s research on a particular make/model, pricing information, or to search out a particular new or used vehicle. By utilizing online classifieds, you can reach a wider audience than you can by simply relying on your local newspaper listings or the sign-in-the-window method. Some of the top online vehicle classifieds include AutoTrader.com and Cars.com, and most of your local newspapers use one of these two services within their vehicle classifieds section. Craisglist.org is also becoming more frequently used, typically for local shoppers. You can also place a traditional ad in the local paper, but remember that most people refer to the internet, even when they’re checking out the local paper. The key to online ads is creative writing (which I’ll go into more detail about in my next blog post.) Think of ways to make your ad stand out from the rest, but make sure to include key facts like the mileage, price, color, condition, year, make, model and trim level. It’s also good when noting the price, to describe it as the “asking price” or give a price, followed by “OBO” (or best offer.) This informs people that you’re willing to negotiate which tends to attract more potential buyers. Be prepared to answer your phone if someone calls to inquire about your vehicle for sale. Keep in mind that people are busy and most often would rather speak to someone right off the bat to determine if the vehicle is worth looking at. For those who don’t want to list your phone number, you can include your email, but chances are you’ll get a greater response from potential buyers if they can call you. And if you do list your number, be prepared to answer your phone! And finally…don’t forget to spread the word! Let your friends, co-workers, and family know that you’re selling your vehicle. People always prefer to buy from someone they know, so a personal referral is a much more promising potential sale. Don’t have the time to go through all the steps, or want to avoid the phone calls and people coming to see the vehicle? Do you just want to sell the car fast and be done with it? From time to time here at CarsDiva, we check out new automotive industry services for consumers and we think we found an interesting alternative for private sellers. Check out Copart Direct. They take care of the whole process for you, from start to finish! At Copart Direct, you call them up and work with their representative to determine a fair value and the number to expect for your vehicle. You then drop off your car for sale at one of their nationwide facilities where they inspect and photograph the car. Copart Direct uses an online technology process where your car is exposed to over 100,000 registered buyers worldwide (typically wholesalers and dealers.) After the online virtual auction, the representative will contact you to give you the low-down on the number of bids, where they came from, and the amount of the highest bid. You then decide if you want to accept the bid, and after you do, you pick up your check! That’s it- easy and hassle-free. They take care of all the paperwork, transport, etc… One thing to keep in mind is that it is an online auction, so you may take a bit of a hit on the price. However, if you want to avoid the sales process and save time, then it’s a great alternative to selling the vehicle on your own. Got more questions? I’ve got answers! Feel free to drop me a line at CarsDiva.com and I’d be more than happy to help you out in any way I can! …Tips for creative online ads and finalizing the sales process! My comments this time are in regards to the summary of a report I read by none other than Capgemini, the esteemed global consulting and technology firm, that recently performed a study on cars and the growing consumer trend with the Internet. 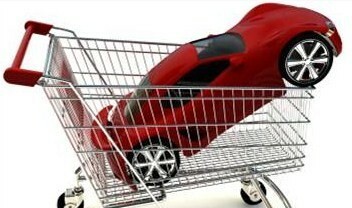 The article “Responding to Changing Consumer Trends and Buying Behavior” (http://us.capgemini.com/carsonline/), deals with the changing trends on the retail side of the automotive industry, based on recent studies performed in China, France, Germany, the United Kingdom and the United States. Capgemini found that “Consumers are becoming increasingly knowledgeable about vehicles as web sophistication grows, often putting them one step ahead of dealerships and automotive companies,” stated by Nick Gill, Global Leader, Automotive Sector, Capgemini. It’s no surprise to find out that people are using the internet more and more to arm themselves when shopping for cars. In fact, most consumers today begin their search process on the internet, as the transparent flow of information online keeps folks informed about what’s out there and puts them in the cat bird’s seat as a new or used car buyer (and some dealers even recognize this). The internet provides useful websites from manufacturers, automotive vendors, and fellow consumers (think car-related blogs like mine! ), where consumers can obtain valuable information regarding everything from the vehicle’s physical attributes, drive, and maintenance, to fair pricing, to financing, and so forth, before they make their final purchase. The WAY the Internet is being used is changing!!! The Capgemini surveys concludes that when consumers are researching their car purchases, 80% utilize the web as a tool. No surprise there as well, but the trend that is changing is how the internet is being used to obtain both facts and objective perspectives. Tools such as search engines, automotive blogs, and web forums are just some of the mechanisms that consumers are relying upon. 29% of those surveyed admitted that they refer to C2C, (consumer-to-consumer) sites as a major source for their information (that’s a 21% increase over the span of just 1 year.) I think David Silver, entrepreneur and angel investor, made a very valid point in his recent book, “Smart Start-Ups,” when he said, “The wisdom of the crowds trumps the expert working alone.” I mean seriously, think about when you’re contemplating a purchase, particularly a hefty investment- you consult with others right? Friends, family, “experts”, they all give their two-cents and then [most often] you use a collaboration of that information to make your final decision. Just look at the success of these forums and networking sites- how many users does MySpace have? Oh that’s right, over 200,000 million and growing! That’s gotta tell you something about the current internet trends and how to target your audience using the Web, right? Just a speculation…. I’m only observing the facts here guys…. So What Does this Mean for Car Dealers??? The most intelligent cookies in the box will be the ones who grasp this changing consumer trend, and leverage the internet as a viable channel for everything from marketing, to sales, to solving problems and answering questions based on consumer-to-consumer input. Channel the “wisdom of crowds” and you have something, I think, so that’s what we want to try to do here as well. On a related topic, from the “sell side,” a recent story in AutoRemarketing Magazine, “Dealers Spending More on Web Advertising, Marketing,” shows that dealers nationwide, in contrast, are making slow progress, based on studies performed by Jupiter Research and NADAguides.com examining Internet operations in dealerships, in reaching out to Internet consumers. They found that since 2003, there’s been a 14% increase on the amount spent on online advertising and marketing. Additionally, J.D. Power reported that about 61% of dealers nationwide use at least one [independent] online buying service, and many of them have signed up for several of these services. Still though, the vast majority still put the lion’s share of their advertising dollars in classified newspaper print advertising, although this media sector has been the “biggest loser” of advertising dollars that have been rechanneled to Internet marketing (in all sectors, not just automotive), and no one sees this trend doing anything other than accelerating rapidly. So what can I conclude from all of this? More or less the obvious, that is, the changes springing from the Internet innovation continues to create new opportunities, especially in the generally “slow to adopt new technologies” world of the automotive industry- new channels for how business is, or should/can be conducted. Those who realize this and grasp the opportunity will be in the position to ride the wave. And those who don’t? Well, one of the West Coast technology/auto mavens, Scott Painter of Zag, Inc. (formerly the first CEO of CarsDirect.com), has publically stated in a trade magazine that he thinks 1/3 of current automotive dealers will be out of business in 10 years, precisely because they will be slow to adapt Internet trends. While I don’t agree with his dramatic assertion, I can certainly see the underlying reasoning behind it….